Eco awareness has had an enormous impact across all cultural and political spectrums, not least in the art world. 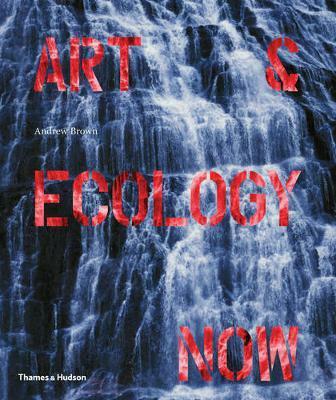 This accessible and thought-provoking book is the first in-depth exploration of the ways in which contemporary artists are confronting nature, the environment, climate change and ecology. Organized into six chapters, the book moves through the various levels of artists engagement, from those who act as independent commentators, documenting and reflecting on nature, to those who use the physical environment as the raw material for their art, and those committed activists who set out to make art that transforms both our attitudes and our habits. More than 300 illustrations feature the work of 95 artists and art collectives from all over the world, including The Artist as Family, Nyaba Leon Ouedraogo, Yao Lu, Tue Greenfort, Eva Jospin, Ravi Agarwal, Nadav Kander, Naoya Hatakeyama, Tattfoo Tan, Berndnaut Smilde, Simon Starling, and Jennifer Allora and Guillermo Calzadilla.